What Was The D9 Clube? The D9 Clube could have been a really good experience if it had been better explained. It was a ‘By Invitation Only’ Entrepreneurs Club that anyone above ‘The Age of Majority’ could participate in through referral or sponshorship. It was to be a community made up of Open-minded people with a broader vision of seeking financial independence and a greater quality of life and freedom from daily routines for themselves and their families. The D9 Clube website domain was registered on the 6th of January 2016. The sites no longer exist and started shutting down starting July/August 2017. Danilo Santana Gouvêia owner, CEO and Founder of the D9 Clube has shut his audience out. 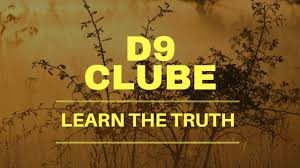 The D9 club started in January 2016 and was supposedly based in Bahia Brazil, South America. It launched in Italy in September of the same year and had a very strong acceptance there. D9Clube went worldwide in 2017 with specific markets in mind. What Others wrote About D9Clube? D9 Clube Review – Great Business Opportunity or Big Scam? 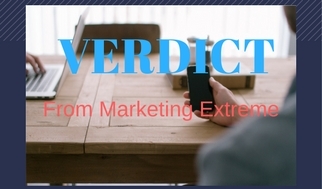 One of the top listed reviews is one posted by Jesse Singh on August 18,2016 through MARKETING EXTREME. “Thinking about joining this MLM company? Do NOT join before you read this D9 Clube review because I reveal the shocking truth behind them.” Read the entire review by going here. Jesse writes, “D9 Clube actually looked good… It has retail products and a customer base which is a must… And I thought it was a cool idea, but then when they got into this whole ROI business, it went down hill…. Arbitrage allows for small consistent gains all the time. Arbitrage Trading is the process where Professional Sports Traders take advantage of the variation in odds offered by different bookmakers in order to make a profit regardless of the outcome of an event. Also known as ‘matched betting,’ or ‘surewins,’ arbitrage trading involves simultaneously betting on every outcome of an event, whilst making a calculation that the combined bets will lead to a guaranteed profit. ‘Arbitrage Trading’ has been dubbed “the only way to make a consistent profit” in Sports Betting, and it has certainly proved profitable for a lot of followers of the method. With that being said, Jesse, the process requires large stakes and a great deal of patience, given that the typical return on investment (ROI) is between two and five percent, depending on the event and a number of other factors. Posted two days later on August 18, 2016. Read the “BEHIND MLM” Review of D9 Club Here. The D9 Clube Review offered by BEHIND MLM warned us of the D9Clube Ponzi Marketing Plan. This one written by Nick Pratt was posted on August 19, 2016. Read The Review Here. 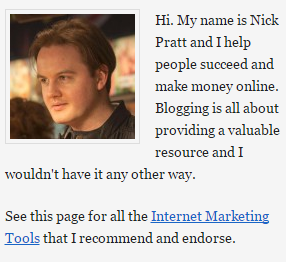 Click on image to visit one of Nick’s sites. “I have gathered all the details about D9 Clube so you can make an informed decision. 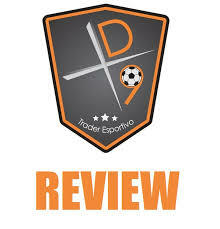 I’ll tell you everything you need to know in my Review Of D9 Clube. So, Has There Been A D9 Clube Scam Going On? Click on image to learn more about the Samsung Galaxy line of Smartphones. 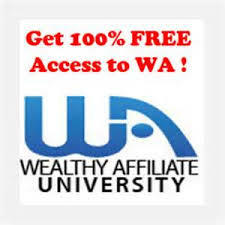 After paying an entry fee affiliates gain access to the platform for a total of 52 weeks. Tips on how to maximize their purchases are offered to users, and the whole thing is quite legitimate. D9 knows that they have to pay out a $170.00 commission to the person that sells this package. Then they have to pay out the the Binary portion. Then they have to pay out the Indirect Referral. See illustration below. But even after all the payouts on this one package, they are still left with $1360.00. 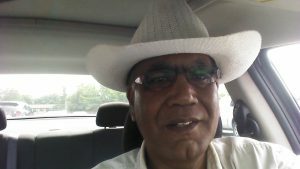 They also know that they have to pay the holder in due course of this package $170.00 per week for 52 weeks. That requires dedicated work. Learn More Here about Arbitrage Sports Betting. Click on image to watch a short video from ‘Good Life USA’ on why most Network Marketing Companies Fail. Click on the Image on the left to go to a short video from a ‘Top Earner’ in MLM from “Good Life USA” (yes, it’s Nick Pratt) as he talks about why 97% fail in MLM and Network Marketing. He specializes in selling leads. Fortunately he does not ‘Bash’ the D9 Program and calls it “Legit.” His review too “Sells” his products which is O.K. After all, let’s not be naive. We are all people of ‘Business mind’ and seeker’s of opportunity. It’s just hard sometimes to sort out through the mounds of opportunity available. I think you have an idea of what I mean. The premise behind the D9 Club of Entrepreneurs was based on ‘Sports Trading.” More specifically “Arbitrage Sports Trading.” Watch the Video Tutorial on Arbitrage Sports Trading Here. We were told that The Traders at D9 specialized only on Football (Soccer). With Traditional betting houses you cannot move or modify your bets meaning that based on the original bet, you are either going to win or lose. Advanced Sports Betting and Sports Trading uses a much more complete system available through Betfair and other Sports Trading Platforms (Read more Here). Betfair is a platform very similar to the Stock Exchange and functions as a ‘buying & selling’ mechanism at certain times during a sporting event. 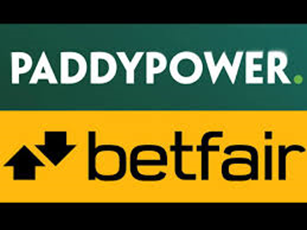 Betfair moves more than $100M (one hundred million dollars) a day around the World. 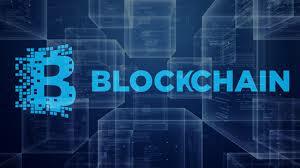 Their system provides for more probabilities and a better use of resources (more buy and sell options during the course of a game) which in turn provides for more opportunity to profit. They are 100% credible in the market. Please remember that there is no direct affiliation between Betfair and The D9 Club. In fact, the D9 Clube never used the Betfair Platform nor were any trades conducted. 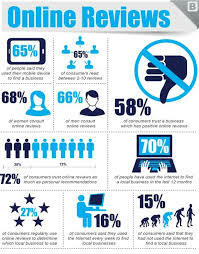 Consumers still trust ‘Word of Mouth’ advertising to anything else especially for referrals. Reviews are becoming more and more popular as more and more people embrace The Internet of Things. D9 had a lot to offer. It was an ‘Opportunity’ and with any opportunity whether it is one that you have created for yourself or one that someone else has created for you there are always going to be inherent Risks. 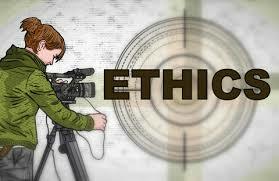 As an Entrepreneur, it is your duty to mitigate those risks by doing your due diligence and getting yourself educated. Thanks for being here. Ultimately, only we can make decisions for ourselves and those decisions should be based on how comfortable we are with what we know and have learned about whatever opportunity we may choose to pursue. Put more simply, by backing all competing sides of a sporting event at different bookmakers using the highest odds available, you can set up a situation where each outcome will result in winnings greater than the total amount risked. This possibility arises from a difference in opinion about the fair odds of the event by bookmakers, and one bookmaker has given the favorite higher than usual odds, while the other bookmakers has given the underdog higher than usual odds. Individually neither bookmaker will make a loss, however if you take the combination of the two or more higher than usual odds, it may be possible to bet on all outcomes so that no matter who wins the sports event, your winnings will cover all bets completely and return a profit. WATCH THE FULL VIDEO TUTORIAL ON ARBITRAGE SPORTS TRADING HERE. Click on Image to Subscribe to this site. Please leave your thoughts, comments, questions or suggestions to improve this site below. Everything about them is gone other than what may be preserved on sites like this one. Keep information flowing. What I might consider doing is to keep this site open and perhaps write about some other schemes out there. Perhaps if we can filter out the ‘bad,’ we might be able to find one that is legitimate and viable. Can you elaborate on this any further? Why would only ‘some’ members be paid their money back and not others? Total scam. My wife and many of her friends lost hundreds of thousands of dollars and we know we will never see that money. You should be ashamed of yourselves. All it will take is one disgruntled investor with a gun and all your greed will have come to nothing. I am amazed that the Brazilian government didn’t arrest you all but maybe you paid them off. Let me make completely clear from the beginning that I and this site have nothing to do with the official D9Clube or their website. I am an internet infopreneur and this site merely provides information regarding the D9 Project. In no way do I endorse this program nor do I do any recruitimg for this program. I did buy a package in order to set-up this site. How else could I write objectively without having access to the program. Also, I am here in Canada and not Brazil. I know about as much as anyone else that has been scammed by this company (myself included). I only got involved in this program because they said from the beginning that there activity would be ‘Arbitrage Sports Trading.’ I have an interest in Arbitrage. Unfortunately, they lied and zero Trading was done. So, in my opinion, they went from a potentially legitimate ongoing concern to a Ponzi HYIP. I agree with everything that you are saying, but please remember that I only act as a messenger to provide as much information that I can. As you know the Official D9Clube does not even have a proper website. There support is zero. They have zero training. All of their correspondence and videos are in Portuguese. These should have been ‘warning signs’ to all of us right from the beginning. 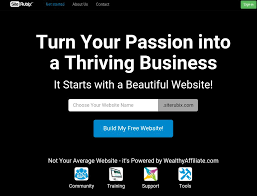 Nowhere on my site will you see any referral links to ‘Sign up’ and invest in D9Clube. Your guess is as good as mine. It seems that we have all been ‘Handcuffed’ and are being held ‘Hostage.’ This is very unfair. Apparently, we will learn more on October 5th. I clearly understand you. kindly help us understand more and more about updates and changes that are happening within d9 clube. Here in Canada, it is Monday already and the weekly DLD9 has not been paid. Please do not panick. I have been told that the new processing system wil be ready to go by Thursday so that withdrawls and new memberships can occur more seamlessly. We should also see our back office payments adjusted by Tuesday latest. I see, Peter that people are having many challenges in just accessing their accounts. I am unable to help these prople fully because I am not there physically to know what their challenges are. Also, I am not the D9Clube support team. I will try to do my best to help as many as I can. Am a member at d9clube and i appreciate you paul . 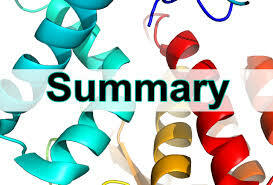 your reviews on other reviewers work its outstanding and excellent. your information is based on real and practical job. you risked your cash to get proper information for the people who are ready to eradicate poverty , to experience change of livelihoods of many families in Africa#. D9 CLUBE IS HERE TO STAY. As I have always said and continue to say…as long as the D9 club is actually involved and participating in the “Arbitrage Sports Trading,’ there will not be a problem. If not, then the program will run out of steam, and those that are the later adopters will suffer. “He received a letter in the mail from a company in Spain that contained in it an international reply coupon (a coupon that can be exchanged for a number of priority airmail postage stamps from another country). Ponzi realized that he could turn a profit by buying IRCs in one country, and exchanging them for more expensive stamps in another country (Arbitrage). Ponzi’s initial offering worked like this: He would send money to agents working for him in other countries, who would buy IRCs and send them back to the United States. Ponzi would then exchange the IRC for stamps worth more than he paid for them, and sell the stamps. Ponzi reportedly made more than 400 percent on some of these sales. Not satisfied with running the profitable scheme on his own, Ponzi began to seek investors to turn even higher profits. He promised investors outrageous returns of 50 percent in 45 days, or 100 percent in 90 days. Ponzi paid these investors using money from other investors, rather than with actual profit from the trading of IRC’s…. 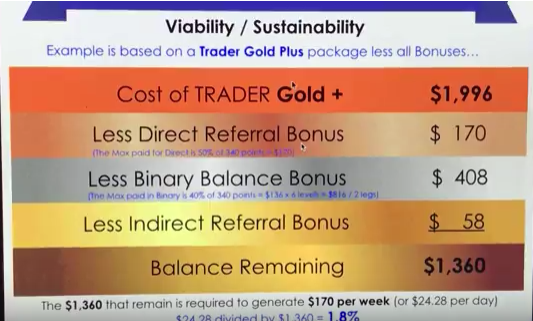 If D9 trades and pays with profits generated from the trading…no issues. If they do not, then it becomes very similar to the criminal scheme of yet another Ponzi artist, Bernie Madoff. I do not know who this person is but I will allow the response in case someone can shed some light. Perhaps you could look into it and let us know. I would like to know how far will it take to pay the monday payments as untill now the payments are not made and is wednesday already. I am not making excuses for The D9Clube as first of all, I am just like you…only a member. I am doing my best to keep other people members informed to the best of my ability. Use it for any and all concerns. Unfortunately, you have to send your concerns in Portuguese. You can use ‘Google Translate’ for this. Gostaria de saber até onde será necessário pagar os pagamentos de segunda-feira até agora os pagamentos não são feitos e já é quarta-feira. Feel free to share, James. Kindly would you engage me on how to transfer my points to VIP dollars and how do i open a Bitcoin account and trade with it? Before you can move funds from D9 yo need to have a Bitcoin account. Once you have done that…contact me back. The next stages are important. Kindly indulge us on this platform how we engage with you and your team, time frame and what you make of this weeks un updated payments in the virtual office, we will appreciate your efforts. Well i am from Nigeria and i am a student. I have actually heard alot about d9 clube and really buy it but i am still a bit skeptical. So admin, could u help clear my doubt as to its authenticity as i would most likely love to be part of this. And please the guidelines on how to about it would also be appreciated. work hand in hand with you and provide guidance. I have seen too many times, new members coming on board and being totally neglected. this is a big scam they are not paying they just take your money don’t sign up for your sake. spread the word a lot of people are being scammed don’t buy into this. spread the word. they stop paying people and blame the system they use to pay people but how can it work to take our money but not work to pay back its a scam believe me. Hi, D9 is a scam. I do not necessarily promote this program but I did buy a package to see if the program was real. Every Monday since the time I joined I have been paid $170.00. I take out $300.00 every other week. What seems to be the issue here? Hellow. Which is the best way to withdraw my weekly payment from my d9 account. Many people are having issues and blaming the D9 system for their short comings. Keep your ‘My Data’ and my ‘Bank Data’ updated. You must understand that D9 receives and pays in Bitcoin. So you must have a Bitcoin receive code. Another way to liquidate your account can be done ‘internally.’ This is done by converting your back office points into VIP points. 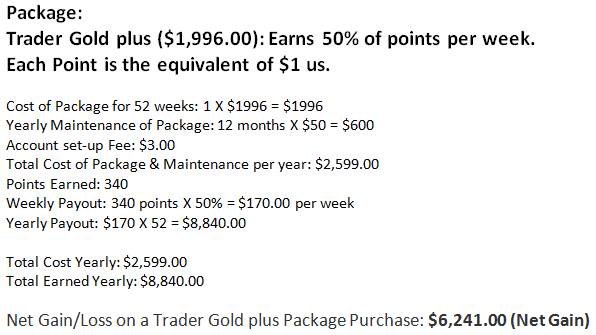 As you know, a D9 Gold Plus package comes at a price of $2049. If you have $1024.50 in your back office as basic points and an additional $1024.50 in VIP points, you can simply take the $2049.00 from a new member by using your back office. But in answer to your question…the best way depends on your own personal situation. For me…I am a part of the Bitcoin Ecosystem. Bitcoin is ‘Dynamic.’ Goes up and down. D9 is ‘Static.’ $2049.00 generates $7241.00 annual return. When Bitcoin goes up…it costs me less bitcoin to buy a package at D9. When Bitcoin goes down…I get more bitcoin for the same value. Hallo; Poul is there any problem in d9clube do you have any information about transaction. From what I understand, the company is implementing an updated payment system. Where this is leading, I do not fully know. I have seen this happen only one time before. 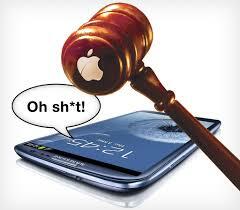 It occurred when some changes were being made to the system. However, people were paid later that same day or the next day depending on your time zone, etc. 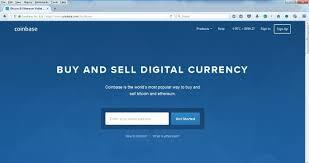 I think it has something to do with the incorporation of the ‘Betcoin’ Trading Platform. I like your frame of mind. Hi admin my account can’t open the registration part using my user/Login. Am now stuck because I can’t register any of my downliner. First of all, please understand that I am Admin for this personal information website. With all the recent correspondence that I am receiving, it seems that the D9 Clube program is not performing as it should. Can someone in the World out there please let me know if D9 is actually trading. If they are not…we have a problem. If you cannot access your account…then obviously you cannot access your money. My first suggestion is to find a way to access your account. Hey admin, do you have any idea why d9 about 3 weeks didnt pay anythink? Everybody waiting for payment bıt not yet! Please try to indicate how everyone are asking for their payment. 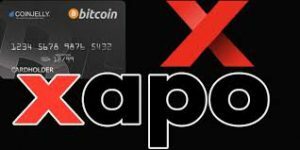 Is it to their bitcoin account, is it to a ‘debit card,’ is is to a ‘third party’ payment processor? Unless I have specifics, I cannot answer in a responsible manner. Let me look into this more deeply as answering this from the top of my head would not be responsible. From an initial viewing though, I see that this publication is coming from a ‘Paid’ press release site and originated on April 12, 2017. Something is not quite right regarding the content of this release. I will do my best to find out. good day sir , wel done. i really appreciate your education. I tried calling The Securities Commission in Brazil. I do not see anything on their site re: D9Clube. As I said earlier, the publication you were referring to was a ‘Paid’ Press Release Publication. Always ‘read the white on the black’ as the ‘black’ may not seem what it is supposed to seem. Let me first of all make it completely clear that I only attempt to provide information regarding the D9 Clube. to my readers accurately. And yes, I did recover my initial package purchase amount. I did not buy another like I see many others doing. I am a very conservative person but I do take risks that make sense to me. Regarding your question about http & https, I see that the site is in fact https. Not sure where you are getting this information. However, you are using different usernames and different Ip adresses to access information. I am wondering if you are just ‘trolling’ to find a weakness to use to your advantage. I will not condone this type of activity moving forward. In today’s Internet World…a certain amount of ‘Savvy’ is required to be able to compete. I’m not saying in way that one has to be an expert, just some basic understanding is required. I know that you are not playing ‘games’ with me but I saw the same IP coming from various locations. Do not worry too much about being an expert. Do at least be able to do basic tasks like keeping your usernames and passwords safe secure and disctreet. And yes, do not lose your phone. So many questions here on some very simple situations. Just goes to show you how naive people are at sometimes. Feel free to contact me if you do not understand the information provided on this site. 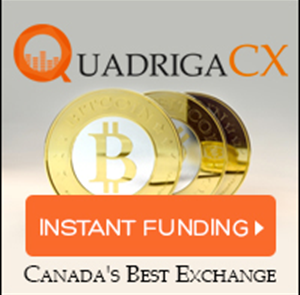 I am here to help in any way moving forward toward future bitcoin programs and this one offered through the D9 Clube. trush,deleted and others not d9 emails, I can not transfer or withdraw money because I don’t receive tokens. I wrote to yahoo support and they replied to me in the email pasted below . Thanks for reaching out, and I’m sorry that you’re having trouble receiving emails from d9clube.com. Our mail servers appear to be fully functional at this time. Occasionally, temporary network issues can cause a message to be deferred or even fail. Please have the mail systems administrator or the postmaster for d9clube.com contact us directly. We’re unable to contact them for you; they require all requests be sent in by the customer. The postmaster’s address is usually in the format: “postmaster@example.com”, where “example” is your email provider’s domain (examples include MSN, AOL, Google). Thank you for choosing Yahoo, and we look forward to hearing from you again. I have checked to my filters, blocked address and reply address all setting are fine. Unfortunately, I am not able to help you with your email problem and you should contact there support team directly. Another option would be to get some guidance from your immediate upline. Hi Hope you managed to get help. D9 now uses google autenticator and not tokens via email. You need to update your security settings. I’m sure it will help others here.